The Dodge Mopar Challenger Shaker Hood turns the ordinary hood into something unlike no other! The Dodge Mopar Challenger Shaker Hood was completely fabricated into the existing factory Dodge Mopar Hood. What is a Dodge Mopar Challenger Shaker Hood? 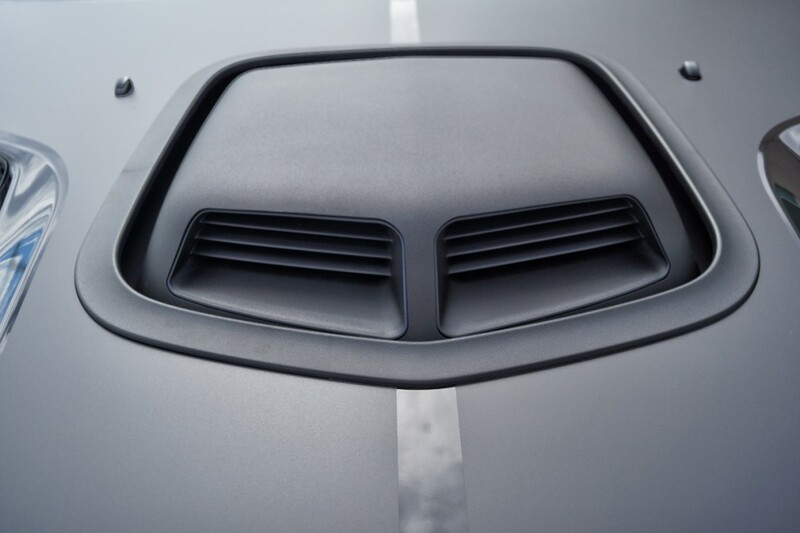 A Dodge Mopar Challenger Shaker Hood (sometimes called a shaker hood scoop or a shaker scoop) is a term for an air intake that is mounted directly on top of the engines air cleaner and protrudes through a hole that is cut in the hood. When the Dodge Mopar Challenger Shaker Hood is installed, it’s fastened directly to the engine which in return moves with the engines movement on it’s mountings, giving it the name ‘Shaker’. Like all scoops, its purpose is to increase performance at high speed by a ‘ram air’ effect, delivering high pressure air to the engine. Other benefits of a ‘shaker hood’ include a cooler source of air, more direct path to the engine’s throttle plate and elevation to prevent water from being drawn on a flooded terrain. This 2010 Dodge Challenger also had some other upgrades added to it besides the Dodge Mopar Challenger Shaker Hood. Kooks Headers and a Borla Exhaust gives this vehicle a strong aggressive sound. With all the added aggressive performance upgrades, the vehicle was not complete until it was sitting on Black and Chrome Custom Asanti Rims. 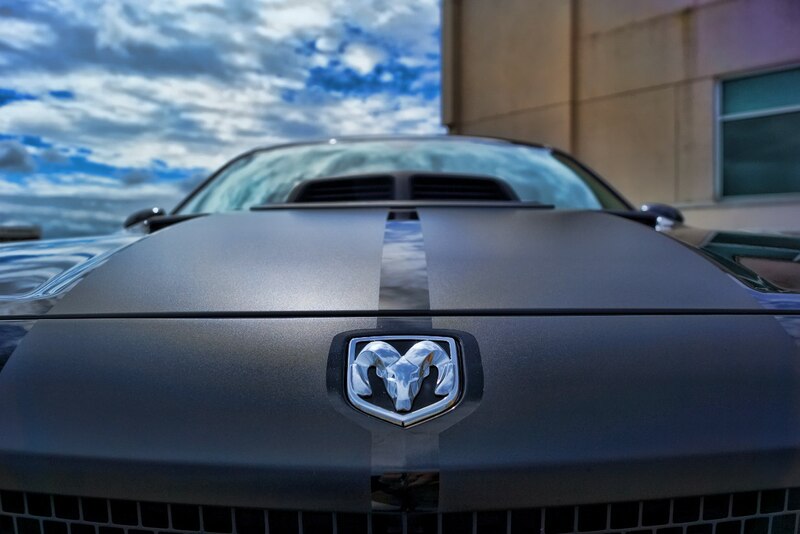 To finish off the details of the Dodge Challenger, Matte Black Racing stripes was applied to the hood. If you’re interested in having a Dodge Mopar Challenger Shaker Hood custom fabricated for your Challenger or any other vehicle, please call 773-583-3770 and speak to any of our specialists. We offer sales and promotions on all our upgrades mentioned in this post. Kooks Headers, Borla Exhausts and Asanti Rims are just a few to name. This entry was posted in Blog and tagged Asanti Rims, Black Powder Coated Rims, Borla Exhaust, Dodge Challenger SRT8, Dodge Mopar Challenger Shaker Hood, Kooks Headers.